Ever since Disney announced that it was planning to release standalone "spinoff" Star Wars films in between the releases of the upcoming Sequel Trilogy films beginning this December with Star Wars Episode VII: The Force Awakens, speculation has run rampant. 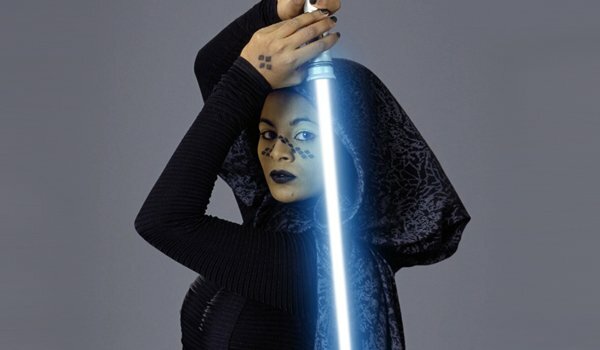 While it’s generally believed that signature Star Wars names like Han Solo, Yoda, Obi-Wan Kenobi, and Boba Fett would be the focus of some of these side projects, the latest rumors seem to point to women stepping into the spotlight. With the names of actresses like Rooney Mara, Felicity Jones and Tatiana Maslany coming up as possible leads for one of the standalone films, we thought it would be as a good a time as any to come up with 5 female Star Wars characters on which the first film could focus. We're using only in-movie characters, since the Expanded Universe was essentially torpedoed by the new Star Wars overlords at Disney. So, let’s see how well a lightsaber can break a glass ceiling and get to the list! The sacred original Star Wars trilogy did no favors to women who weren’t named "Leia" or green-skinned dancers who get eaten by the Rancor. 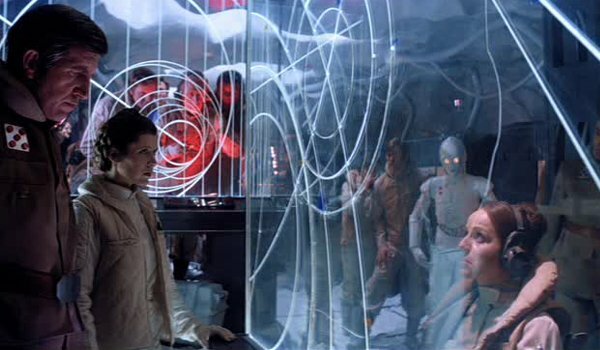 However, this blink-and-you-miss-her character seen during the Empire’s attack on Hoth in The Empire Strikes Back served an important role of coordinating the evacuation of the Rebels from the overpowering Imperials. 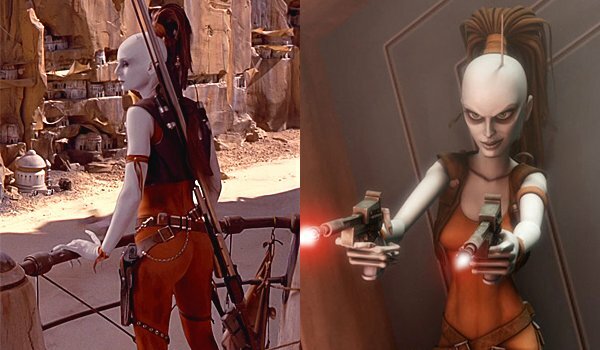 Briefly seen overlooking the pod race in The Phantom Menace this chalky female felon is actually one of the galaxy’s most notorious and dangerous bounty hunters…and she’s also a trained Jedi who has made it her mission to kill Jedi! A trained sniper and habitual wielder of double pistols, she brings death upon any paid-for target when she’s not carrying through her vendetta against the Jedi. Her exploits in the Expanded Universe are vast, however, her prominent role in the animated series, Star Wars: The Clone Wars depicts her tangling with some the galaxy’s best heroes and excellently exhibits her badass, amoral nature. The character has gained a tremendous level of popularity considering the briefness of her movie appearance. While she is essentially an "evil" character, an interesting plot point might put her on a journey towards doing the right thing in spite of her viper-like nature. With the right actress, the perfect mix of sexiness and tenacity could really propel this character into the A-list stratosphere. 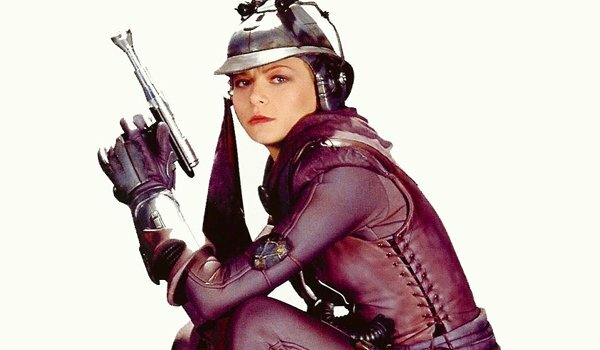 This female bounty hunter and assistant to Jango Fett, is pretty much responsible for the inciting incident of Attack of the Clones and leads Jedi, Obi-Wan Kenobi and Anakin Skywalker on a high-speed chase across Coruscant. However, when Fett permanently silenced her during an interrogation, we discovered that she’s an alien shapeshifter, whose real appearance is more akin to a grey lizard. So, why would we want to see a standalone film about this deceased death dealer? Well, because of all the prequel films, Attack of the Clones stands as the film that sports the most gaping chasm of a plot-hole regarding the creation of the Clone Army. We know the order was made by "Jedi Master Sifo-Dyas," who was apparently killed years earlier. While the film may have implied that Count Dooku carried through a bit of identity theft on behalf of the Sith, it was never explained. (Although The Clone Wars animated series revisits this angle.) A film focusing on a beautiful shapeshifting bounty hunter/assassin, torn between her desire for cash and possibly a personal conflict, chronicling the real story behind the "Clonespiracy" would be an excellent bit of spackle to cover the holes on the Star Wars plot wall. The first lady of the Star Wars mythology, Leia is certainly an obvious choice for a starring standalone film. However, the context of such a film will be the key. In the beginning of the first Star Wars, A New Hope, we first meet Leia as a thoughtful, but tenacious, fully-realized badass femme fatale. She would essentially become the cinematic archetype for such a concept and we would reach the point where subsequent movies deliver the same thing to no second thought. We need to explore Leia’s arc, where she begins her story in a bad place, lacking confidence and unsure of her place in the world. 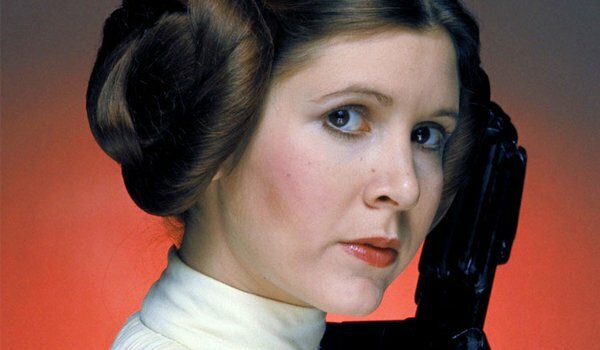 A young Leia, raised a spoiled, prissy princess, could go through a process much like Luke, where she discovers that she’s connected to a greater legacy since her father, Bail Organa (a role which Jimmy Smitts could reprise), is an important leader in the Rebel Alliance and that she was actually the daughter of the martyred former Naboo Queen and Senator, Padmé Amidala. Suddenly, her shallowness is replaced by a sense of duty and an enjoyable level of general pissed-offed-ness. Only briefly seen in the "Battle of Geonosis" in Attack of the Clones, the exploits of this inked-up, olive-skinned Jedi apprentice would take a fascinating turn in both the Expanded Universe and, notably, The Clone Wars animated series. Studying under Luminara Unduli, Barriss was often depicted as a mindful student who used powers of The Force to heal people. However, she became increasingly alienated by the role in which the Jedi found themselves in the Clone Wars. Tempted by the dark side of The Force, she would conspire against the Jedi. A film loosely adapting this angle of personal and political intrigue into the Star Wars cinematic continuity would be great. If such a project can avoid indulging itself too deeply down the political agitprop rabbit hole, it could become a fascinating character study and would also flesh out even further why the Jedi would so suddenly and easily become the galaxy’s scapegoats.